The ATO real estate property transfer reporting project is being led in WA by Landgate on behalf of the WA Government. This project follows a Commonwealth Government requirement to ensure that a record of property ownership and sale information is provided to the Australian Taxation Office (ATO). In Western Australia, the legislation is not expected to be passed until 2018. However, Landgate is engaging with the conveyancing industry to begin collecting this information in advance of WA legislation. The information covers details on the property itself and on the individuals, trusts, companies or organisations buying and selling property. Collection of information is through Property Reporting Online (PRO) system which can be accessed by your conveyancing professional. If you are acting on your own behalf this information can be provided through the Self-Represented parties form, see the ‘Information for buyers, sellers and self-represented parties’ drop-down option on this page. Landgate requests the support of the conveyancing industry to provide buyers and sellers information on the ATO’s requirements, and encourage them to provide the requested information for any property ownership changes from this date. What is already reported when a property changes ownership in WA and what’s a new requirement. To meet the ATO’s requirements, Landgate has developed a new Property Reporting Online (PRO) system. While developing PRO, Landgate has taken the opportunity to link the interface directly to the EAS2 legacy system to create a single data input point for EAS and ATO information. 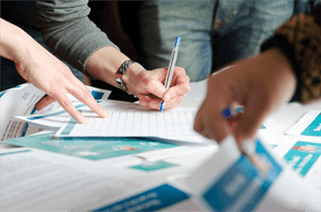 Conveyancing industry professionals have been closely involved in development of PRO through a co-design process. For a six-month period during 2017 the group, comprising metro and regional industry reps, met regularly to provide advice and feedback during development of the online system. Our thanks to the members of that group whose input and sharing of industry practices has helped to develop an online system which is intuitive and easy to use. Property Reporting Online (PRO) delivers information relating to property transactions to approved/allowed recipients. PRO will be the only system for accessing Electronic Advice of Sale (EAS) following EAS2 being shut down in the second quarter of the 2018/19 financial year. PRO can be accessed through MyLandgate accounts. Conveyancers, property lawyers, and others involved in the process of buying and selling property in Western Australia will be important in gathering and inputting the information requested by the ATO. Buyers and sellers are requested to provide ATO property reporting information to the conveyancing professional who is working on their behalf during the settlement process. When buying or selling your property, your settlement professional informs a number of public agencies (the Water Corporation, your local council, Office of State Revenue) so your name can be put on or taken off an account. This is done by completing an Electronic Advice of Sale (EAS). 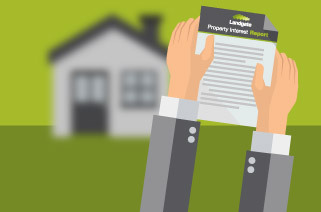 To meet the ATO’s requirements, Landgate has developed a new Property Reporting Online (PRO) system through which information relating to property transactions can be collected and passed to approved/allowed recipients. The portal includes access to the Electronic Advice of Sale (EAS). As the buyer or seller, you won’t need to access PRO but you are requested to provide your settlement professional with the information required by the ATO. A self-represented party is someone who does not employ the services of a conveyancing professional/ settlement agent or a qualified lawyer to act on his or her behalf in the settlement process’. This means the responsibility lies with the self-represented party to undertake the duties of the settlement agent or lawyer and the self-represented party will be requested to provide the same information. Landgate will provide online versions of the paper forms needed to carry out a land transaction in Western Australia. These forms will soon be available at several online locations and also at Landgate counters. The self-represented party will be requested to provide all the information on the form before presenting the hard copy to Landgate customer service. Foreign residents buying and selling properties in the state of WA should consider engaging the services of a licensed conveyancing professional. For more information on the obligations of either an Australian or a foreign resident transacting in land, please visit the ATO website. Buyers and sellers will be encouraged to use a settlement professional, but should you choose to self-represent, please complete one SRP Form A to provide property related information and provide other information which relates to you using SRP Form/s B/C/D/E. Forms should be completed in BLOCK letters, signed, dated and presented at lodgement or settlement. See all ATO Property Reporting FAQs.